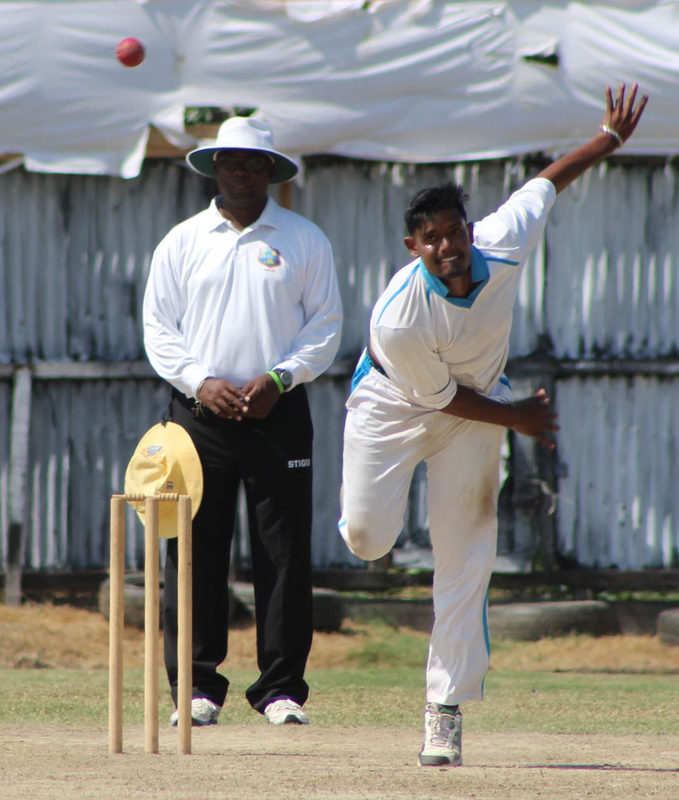 East Coast survived a later afternoon burst from seamer Kevin Gordon who snuffed out two wickets ending day two on 51 – 4 having earned a slim lead of 82 against Essequibo at the Tuschen Sports Club ground, yesterday. The focus of the day, however, surrounded West Indian Test match great, Shivnarine Chanderpaul who narrowly missed out on a century as East Coast secured first innings honours. 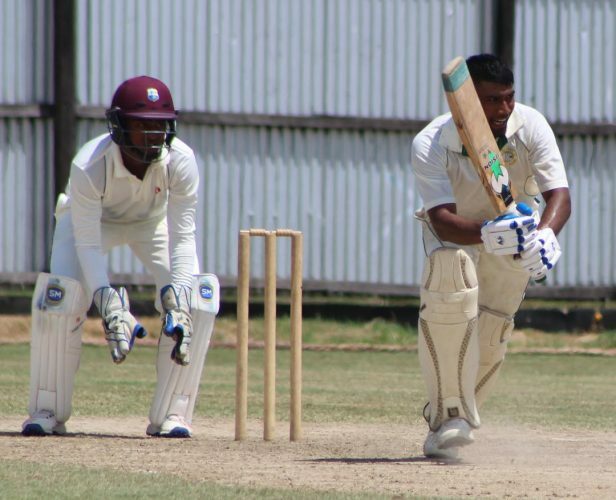 Essequibo resuming on 6 – 0 reached 84 for two after the demise of Kevon Boodie (16) and Kemol Savory (20) during the morning session. During that time, opener Vijai Surujpaul carved out several exquisitely timed boundaries to post his half century which came up in 58 balls to ensure his side’s strong response to East Coast’s first innings total. Surujpaul’s early expressions ensured that Essequibo was off to a good start and, together with Test legend Chanderpaul, playing in his first match of the league, carefully took the side past the 100-run mark before Surujpaul was well taken by wicketkeeper Joshua Persaud off the bowling of leg-spinner Amir Khan with the score on 108 – 3. His 58 included seven fours which came off 71 deliveries. Chanderpaul then took charge of the innings, not only employing his little idiosyncrasies but also his powers of concertation and rocklike presence at the crease. After pulling off-spinner Kevin Kowlessar to the mid-wicket fence for four, Chanderpaul nonchalantly eased khan for six which was followed by a resolute forward defence – a common feature during his stubborn knocks for West Indies over the years. 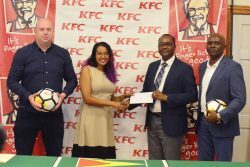 Chanderpaul continued to look comfortable, carrying his tally to 39 at the luncheon interval and, along with Chaitram Persaud, placed Essequibo in a comfortable position at lunch with the score on 161 – 3, still trailing by 123 runs. Chanderpaul continued to nudge the ball into the gaps after the break to reach his fifty which came off 97 deliveries. He lost Persaud shortly after for 18 chasing a wide delivery from seamer Royston Simon to leave the score on 182 – 4. Leg-spinner khan got into the act and swung the game by quickly grabbing three wickets, removing Mark Williams (11), Anthony Adams (4), and Kevin Christin (5) as Essequibo passed the 200-run mark with the score on 225 – 7 and being in danger of surrendering first innings honours. Chanderpaul all the while continued on his merry way as he neared a century, in classic Chanderpaul style – reaching the fence at will while ticking the score along. 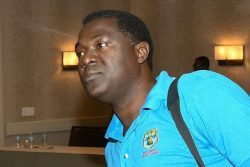 Khan, however, continued to pose a threat and got his fifth wicket when he removed Akinie Adams (1) as the score moved to 245 – 8 with Chanderpaul being in the familiar position of running out of partners. After smashing Bhaskar Yadram for a four to move to 91, Chanderpaul was out caught at point of the very next delivery, going for a big shot to leave the score on 249 – 9. His 166-ball innings included nine fours and two sixes in his 126-minute stay at the crease. 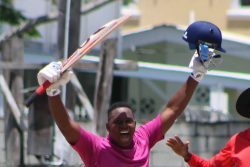 Yadram wrapped the innings by claiming the final wicket as Essequibo were dismissed for 258 in 77.5 overs, 31 runs behind East Coast on first innings. Khan had good returns to end with 5 – 75 while Yadram ended with 3 – 52. 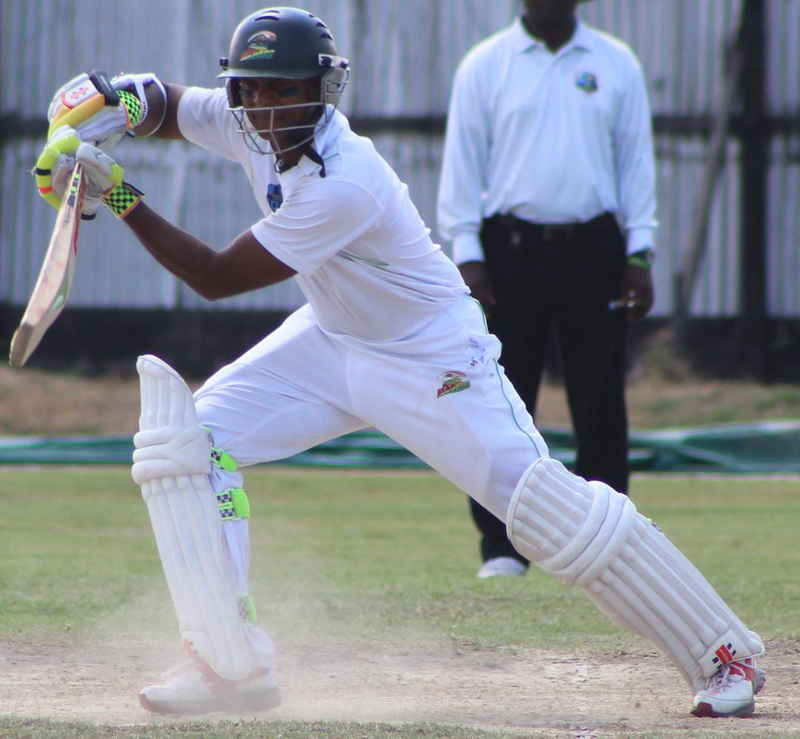 East Coast, in their second innings, got off to horrendous start after being reduced to 8 – 2 with the demise of Brian Sattuar (0) and Persaud (4) who was needlessly run – out in the second over. Seamer Kevin Gordon then removed Premchan Sookdeo (4) to claim his second wicket with the score now on 8-3. Things could have gotten worse when Gordon broke the edge of Kamesh Yadram’s bat only for the catch to be grassed by Adams in the gully region. Play was then interrupted for 12 minutes due to bad light. After play resumed, brothers Kamesh and Bhaskar Yadram steadied things to carry the 44 – 4 when Anthony Adams removed the former LBW for nine. They eventually ended the day on 51 for four with Bhaskar Yadram unbeaten on 29 after stroking five fours.